Essential Jewellers: Merry Christmas Gifts! It may be less than two weeks until Christmas day but it’s not too late to grab a gorgeous gift from Essential! Take a look at some of our super stocking fillers and best-selling items you can buy for someone special this season. 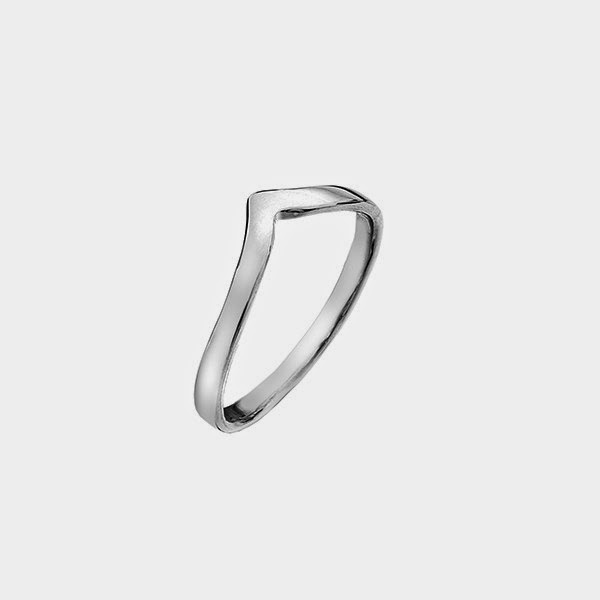 This classic sterling silver wishbone ring is priced at £4.99. 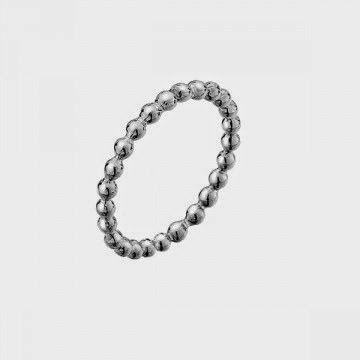 This sterling silver ball stacking ring has proved to be one of our best sellers in store and costs just £5.99! 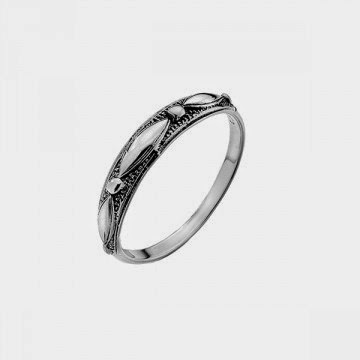 Choose this sterling silver braid ring for just £5.99 for a cute but cool ring that will go with anything. 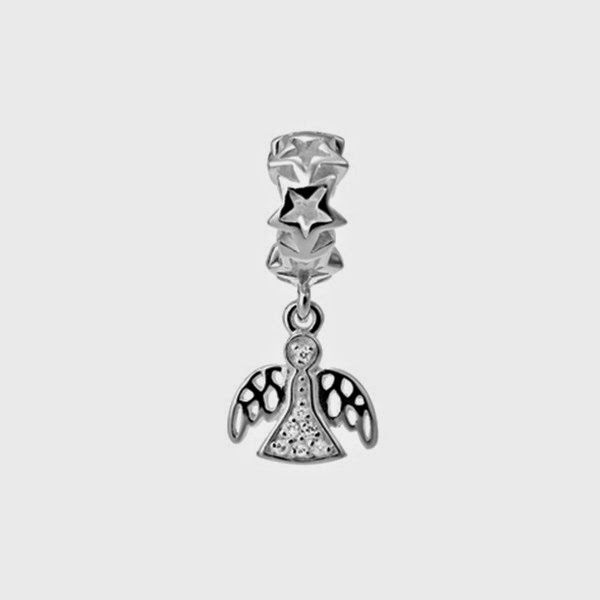 Here at Essential we have a great range of traditional clip on charms and Lovelinks beads to add to your favourite friend's collection. 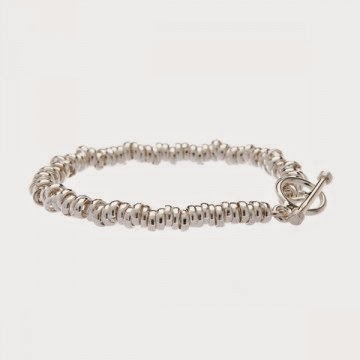 Traditional sterling silver charm bracelets are sold separately and are available in stores and online, as well as a selection of Lovelinks bracelets and bangles. 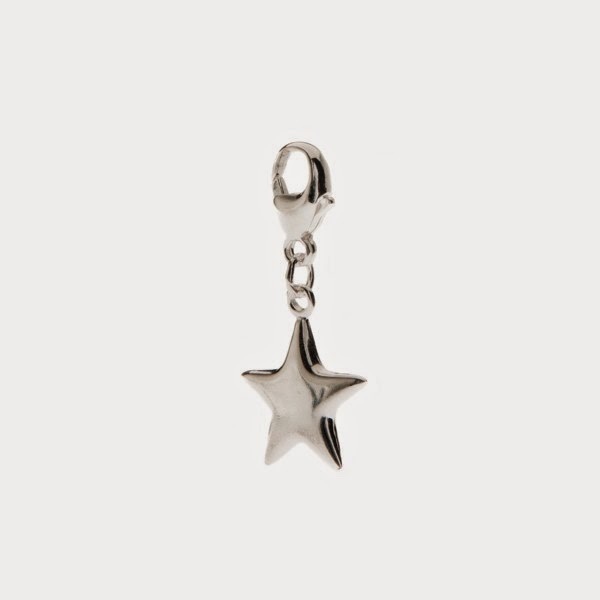 Give someone the gift of a shining star this Christmas with this sterling silver clip on charm costing £8.99. Why not buy someone their very own Christmas angel with this beautiful sterling silver and crystal set Lovelinks bead priced at £35.95. Add (a little extra) sparkle to someone's Christmas with this pink crystal and sterling silver Lovelinks bead priced at £45.95. Other colours are also available. 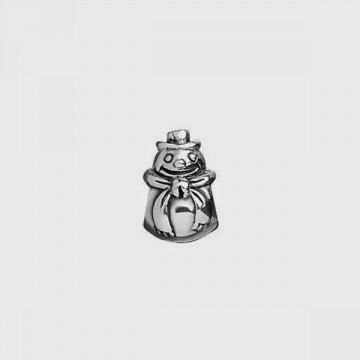 This lovely jolly sterling silver snowman Lovelinks bead is available at £35.95. There's no other time better than Christmas to buy someone (or treat yourself!) 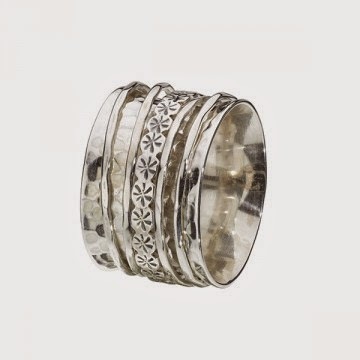 to a bit of sparkle and glitz to help celebrate the holiday season. 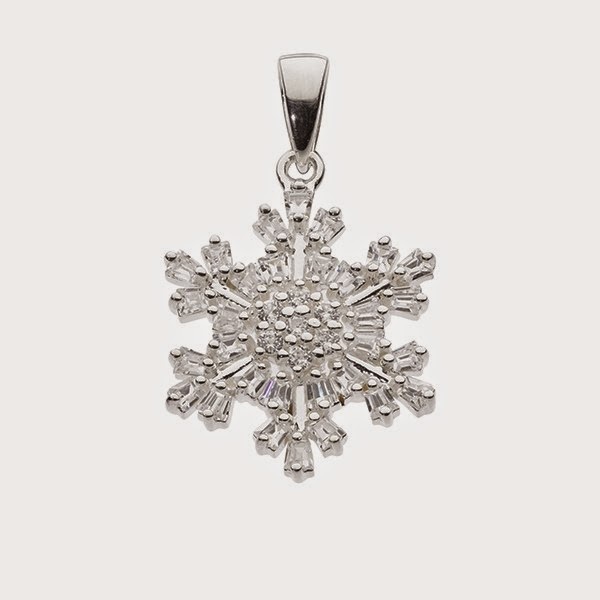 This stunning cubic zirconia and sterling silver snowflake pendant is flying off the shelves in our stores. Get yours for £40. Chains are sold separately in stores or online from £4.99. 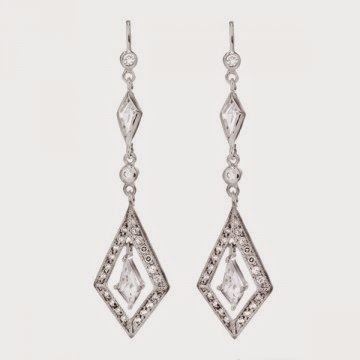 For some Gatsby-inspired glamour this Christmas treat someone to these art deco style cubic zirconia and sterling silver earrings priced at £28. 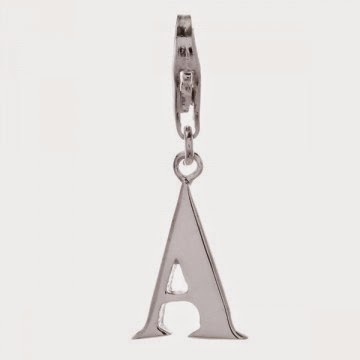 The matching pendant is available at £14.99. Here at Essential we've got a great choice of sparkly Popcorn bracelets available in different widths and colours, which are great for brightening up Christmas. These bracelets (shown left) are priced at £55 each, but prices range from £38 to £80 for other sizes available in stores and online. If you've got a special lady in your life to buy for look no further than some of these extra special Christmas gifts. 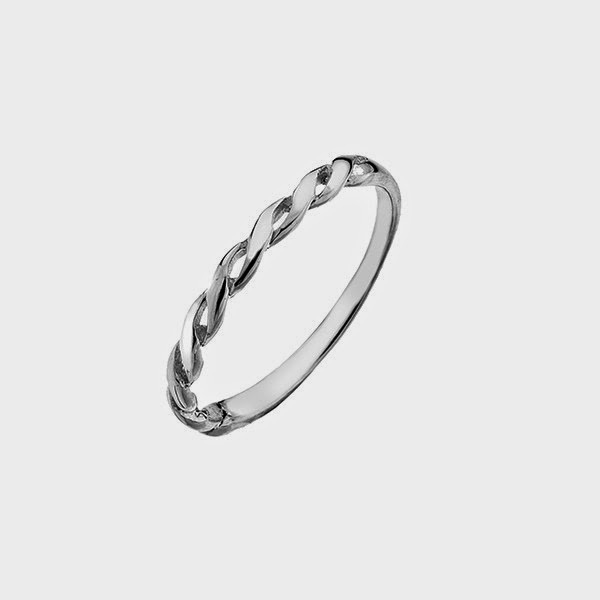 This sterling silver sweetie bracelet is a great choice for your sweetheart, priced at £75. 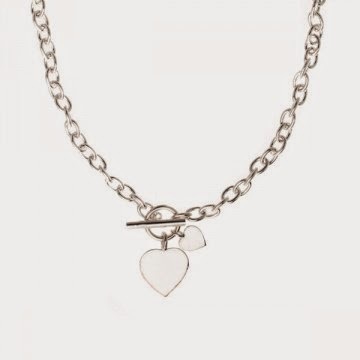 This sterling silver t-bar and heart necklace is a timeless statement piece which will never go out of fashion, priced at £95. 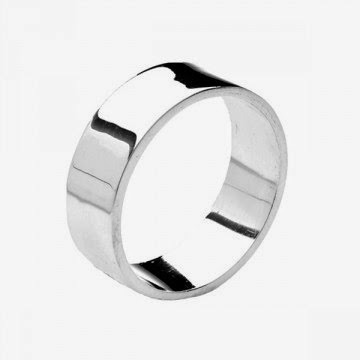 This sterling silver spinner ring is one of the most popular rings on sale at Essential, priced at £48. 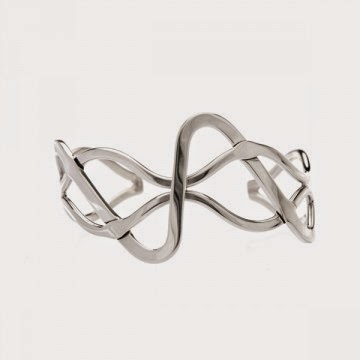 For a fun and funky present for the special femme in your life, take a look at this sterling silver abstract weave bangle, priced at £88. Step aside ladies! Essential has a great selection of gifts to keep the boys happy too this Christmas. 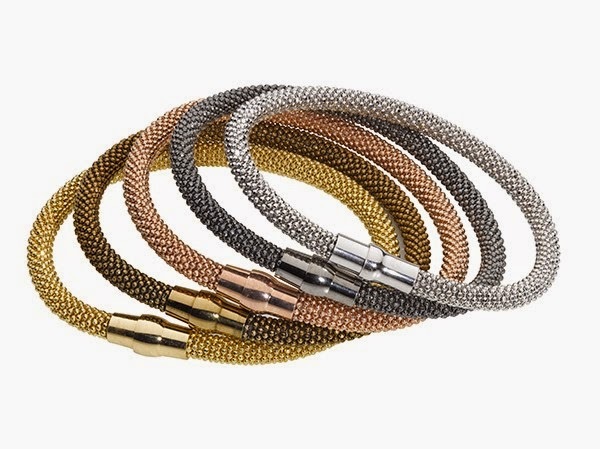 Essential sells a great selection of leather and stainless steel bracelets, available in a range of colours and styles. 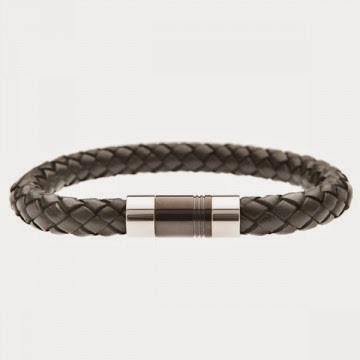 This black leather bracelet (left) is priced at £19.99. 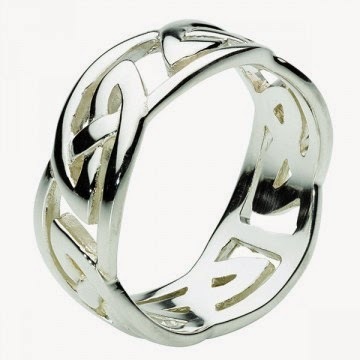 this celtic ring priced at just £30. All our products can be purchased online or in our stores subject to availability. IF YOU ARE ORDERING FROM OUR WEBSITE PLEASE PLACE YOUR ORDERS BY MIDDAY ON FRIDAY 19TH DECEMBER TO ENSURE YOUR ITEMS ARE DELIVERED IN TIME FOR CHRISTMAS DAY. I recently bought a couple of rings from you and I'll have a blogpost up about them tomorrow morning. I'm so pleased with them and I'll definitely be buying more soon!